An auto accident can leave you writhing in pains or with a head trauma or in worst case scenario, may have fatal consequences. If you or a loved one suffered an injury from an auto accident in Chino, it is advisable to seek first-rate legal counsel as soon as possible. As a plaintiff, you would need an experienced auto accident attorney in Chino and Rawa Law Group has a long list of attorneys who are experienced in handling such cases. At Rawa Law, we strive to help you maximize your accident claim settlement. Our law firm stands out as one of the most personable law firms in CA. When you choose to work with Rawa Law Group, you gain access to top personal injury lawyers in California who have a combined legal experience of over 55 years. We are relentless, tireless with strong advocacy for the injured. Rawa Law Group has for many years delivered the desired results for claimants seeking auto accident attorney in Chino, resulting in hundreds of millions in settlements awarded our clients. Because we are optimistic you are going to be adequately compensated if you hire one of our car accident lawyers, we don’t charge any upfront fees and offer free case evaluation. Our skilled auto accident attorneys utilize ethical legal proceedings to land you the maximum accident claim settlement you can get. 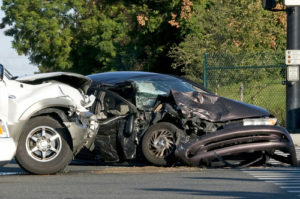 We are all about helping you get your deserved settlement following an accident. Please contact us today to schedule your free, no-obligation evaluation using our details below.